Major ranking signals are fading away with every Google update. In the earlier times when SEO was just launched, a few ranking signals like backlinks and presence of keywords in the content body or the meta tags were enough to get a site ranked on Google. But the trend now indicates a complete makeover of what Google considered in the past. New and improved ranking signals are set to present a customized set of search results for every user. Major ranking signals are fading away and being taken over by smaller ones that are hard to predict and analyze. We are awaiting times when ranking algorithm factors would be so minute that single tweaks in them would go unnoticeable in the search community. This is what Google wants and this is what an SEO fears! So, if major ranking signals are fading away then what lies next? Well, the secret to digital marketing success lies in improving the user experience and grabbing the user share for your brand. I fear for all those smaller businesses who are still trying to boost their SEO by getting involved in cheap link building hoping they might improve some day but little do they know that Google will slowly ignore all such cheap link building tactics and promote sites based on innumerable ranking signals that are hard to detect and manipulate. Fear the Panda, fear the Penguin and fear the Pigeon...hope we will see some more Black hat catching birds in future. As a business owner or as a digital marketer what should be our main focus? Ultimately our main focus is to get business and generate revenue but God knows how most of us fall in the trap of snake oil SEO strategies and expect miracles to expect overnight. Days of SEO manipulation are gone. Only those will rule SEO who prefer user experience and think more about the user and less about the search engines. 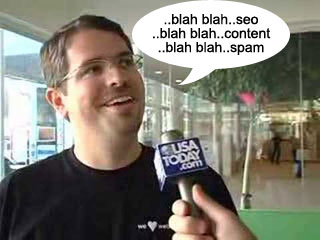 Matt Cutts has long ago said that SEO is more like Search Experience Optimization instead of Search Engine Optimization and that's rightly said. People who are old school thinkers thinking that SEO means link building and boosting your site artificially in the rankings should give a second thought. SEO is no longer a child's play and requires deep level thinking in all aspects whether technical or tactical to fetch the desired outcomes. The best thing we can do for our site is to engage the user as much as we can. Not only via search engines but via other modes of digital marketing like social media, mobile marketing and email marketing. Channels of digital marketing affect each other's performance and that's true. So investing on email marketing, social media marketing and mobile marketing are all interrelated with boosting SEO. Hope you got the hint. In my next post, I will discuss about the strategies a modern digital marketer must plan to get the results. So, stay tuned.